The Eagles traded-out of their original third round draft choice with the Baltimore Ravens, trading away their third round selection (No. 85 Overall), and in return receiving the Ravens third round pick (No. 90 Overall) and Baltimore’s sixth round pick as well (No. 191 Overall). The Ravens traded up to acquire tackle, Jah Reid, and the Eagles simply moved down the board five picks and acquired a sixth round pick, which they did not have before. Philadelphia has drafted an offensive lineman, Danny Watkins in the first, then made the move to add some depth in the defensive backfield by taking safety, Jaiquwan Jarrett in the second round. 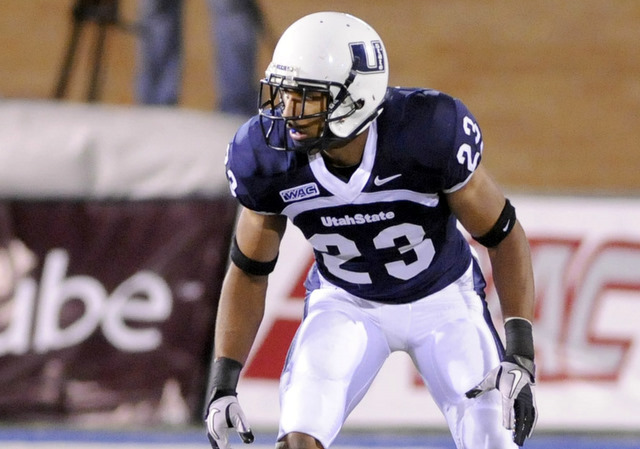 In the third round the Eagles made the move to improve their secondary with another draft pick by taking Curtis Marsh, from Utah State University. The Eagles secondary was incredibly weak last season and there was not a corner on the team that stepped up in the big picture to prove that they could be a full-time starter, aside from Asante Samuel. Marsh is an excellent pick as a developing corner that can improve over time and gain knowledge and experience from a veteran in Samuel. At Utah State, Marsh was actually a running back in his first season on the team, but was then bumped over to corner in his second season. Philadelphia was wondering when the cornerback pick was going to come, and it has arrived in Marsh. It is clear that the Eagles are trying to boost their secondary presence by taking two straight pass defenders. Marsh should develop over time and has drawn NFL comparisons to a player like Joe Haden, and if Marsh can even be half of what Haden is, he was a successful pick in the third round.